How do readers feel about these attempts to create new funds to meet social or political objectives? Almost 2,400 people took our survey on this topic. Generally, readers were strongly opposed to attempts by Congress to make legislative changes to the TSP along the lines of what was proposed. The results of this survey are very similar to a survey from 2007 when we asked readers some of the same questions. 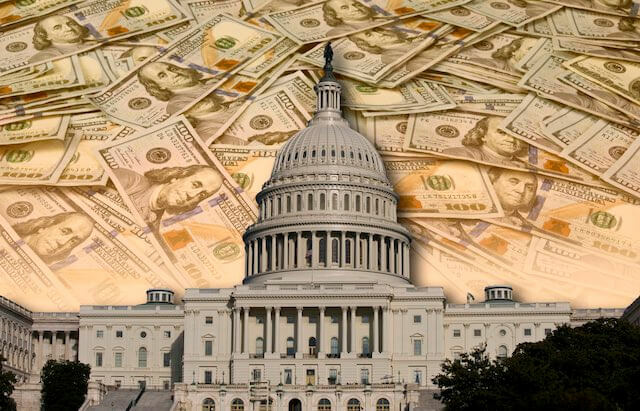 There have been legislative proposals from a few in Congress since 2007 to “improve” the Thrift Savings Plan and using the money in the program to create social or political changes reflecting the interests of the Congressional representative making the proposal. Here are the results of the latest survey. Does Congressional involvement in making TSP policy make you more or less confident in the security of your TSP retirement funds? Do you support the bill in Congress to create a “climate choice” fund in the TSP? Would you prefer to see the TSP invest more in funds set aside for “socially responsible” companies? Should Congress decide or legislate companies deemed acceptable for TSP fund investment? There were about 400 comments on the original article about the latest Congressional proposal to add a new fund to the TSP and the introductory article to this survey. While many of the comments diverted on to other issues, here are a few of the comments that reflect the thoughts of some readers. We thank everyone who elected to participate in this survey. Readers are invited to add any comments on the subject of changing the TSP at the end of this article. Do You Trust Congress With Your TSP Investment?